This one-of-a-kind book combines every woman’s two favorite things: elements of nature and bags. 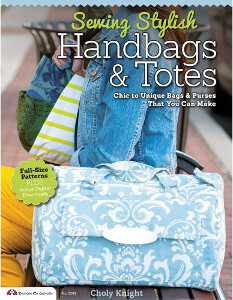 That’s right, author Hilary Bowen takes you on a super stylish adventure in her book Bags of Inspiration so you can fill your closet with bags and purses that reflect the lovely aspects of nature we all love most. At AllFreeSewing.com, we want to make it as easy as possible for you to sew these nature-themed bags, which is why we are thrilled to announce our Bags of Inspiration giveaway. This incredible book is one you surely do not want to miss out on. 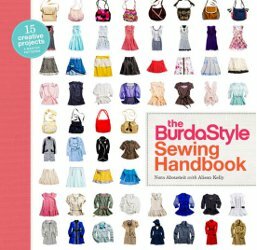 Bowen’s book is brimming with bag patterns you will absolutely adore. From butterflies to wildlife to plants, this book has exactly what you are looking for. We are confident you won’t be able to wait to show off your handmade purses and bags featuring designs like leaves, seashells, fruit, and more. Not only does Bowen provide you with patterns for 15 bags that are guaranteed to make everyone’s head turn, she goes several steps farther. Following the 15 bag patterns are a wealth of information to make your bag sewing experience as rewarding as can be. Check out the latter sections of Bags of Inspiration to learn about the basics of sewing a bag, the various threads, fabrics, and equipment you’ll need, and techniques like embellishing. 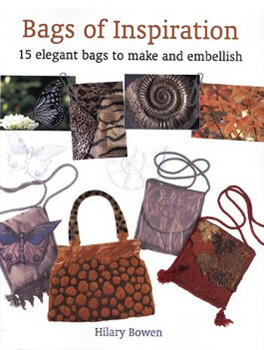 Even better, readers of this book will be pleased to find templates for all the motifs they’ll create as they progress through Bowen’s fabulous bag patterns. You can use these templates to help ensure your measurements are exact and accurate. With a copy of Bags of Inspiration in hand, there is absolutely nothing stopping you from sewing the most stylish and chic bags known to woman. What’s more, you will find a sewing pattern for just about any bag or purse need you can imagine. Maybe you’re looking for a bag filled with bright colors to contrast with an outfit of more neutral tones. In that case, the Pink Extravaganza is a great pattern to check out. If you’ll be participating in a more formal occasion, you’ll love the Shimmering Mist or the Dream Wedding. For those seeking bags that offer a spacious interior, Granny’s Treasure and Winter Days are just what you need. Don’t wait another second to take the first step toward a closet full of fashionable purses and bags. Bowen’s Bags of Inspiration contains everything you could ever need to get started and get sewing. If you’re ready put the beauty of nature right inside your closet, this book is an absolute necessity, so enter the giveaway contest and try to win yourself a completely free copy of this must-have book today. What style bag will you sew first if you win a copy of Bags of Inspiration? Read the full Bags of Inspiration Review here, and enter to once a day, every day until August 5. Sewing for babies just never gets old, does it? There’s something about those adorable little baby shoes, hats and blankets that make all those hours slaving over the sewing machine worth it! 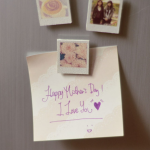 OK, these cute projects don’t actually take hours to make, which is another reason to give em’ a try. 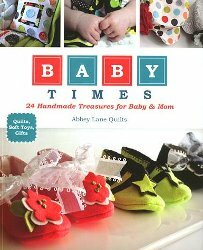 Right now we’re giving away the book, Baby Times: 24 Handmade Treasures for Baby & Mom. 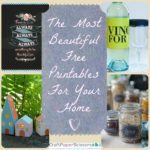 For the modern baby (and mommy) Baby Times delivers 24 projects sewists both novice and advanced can enjoy. Create your own bibs, diaper bags, soft toys and more. 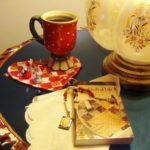 The founders of Abbey Lane Quilts gathered all kinds of inspiring ideas and included the patterns and instructions so the reader is led through each project. Baby Times is organized by all the different “times” of a baby’s (and mommy’s) life. For playtime, make baby an adorable toy bucket. For go time, grab some colorful fabric and follow the tutorial to create a stylish diaper clutch for mom. Want to win a copy of Baby Times? Enter to win Baby Times. The giveaway period ends July 9, 2012. You can enter to win everyday so keep coming back to increase your chances! Enter to win today. Have you ever made a handmade baby gift? Share with us in the comments below! I’m so excited to share this book with you. The pages inside Happy Home are so bright and beautiful, you can’t help but get inspired to sew up something wonderful. If your living space is in need of some life, Happy Home is the book to help you transform it! 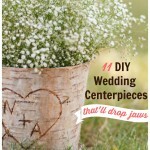 Inside its pages you’ll find all kinds of creative ideas to help spruce up each room. 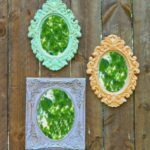 With step-by-step instructions and patterns included, you can create home decor pieces that will brighten and warm up your home. 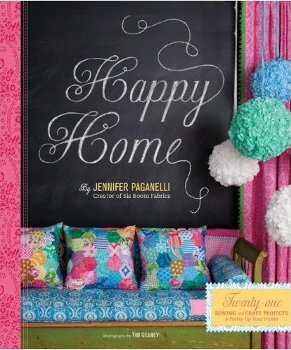 From textile designer, Jennifer Paganelli, Happy Home delivers the tools and inspiration you need to finally give your home that long overdue upgrade. And you’re in luck! We’re giving one lucky winner a copy of Happy Home. Enter to win Happy Home. The giveaway period ends June 25. You can enter to win everyday so keep coming back to increase your chances! Enter to win today. 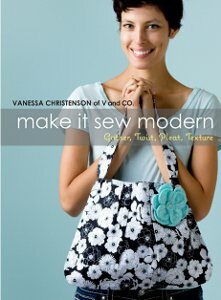 Vanessa Christenson of the sewing blog, V and Co, delivers a book full of simple and beautiful projects all sewists can enjoy. From eye catching quilts to cleverly embellished purses, every project found in Make It Sew Modern is lovely and unique. Christenson transforms basic sewing projects into special pieces by adding ruffles or pleating and mixing and matching texture. 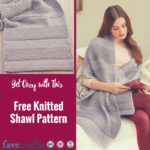 Find step-by-step instructions and patterns to follow so that every project can be easily completed and in a style that’s all your own. We’re giving away one copy of Make It Sew Modern. Want to win? The contest ends March 5, 2012. Remember, you can enter to win everyday. The more you enter, the better chance you have to win this awesome book. Start entering today! It’s never too late to learn new ways to crochet. 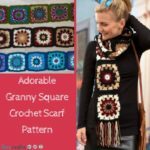 This season, create amazing scarves, bags, afghans and more using the interlocking crochet method detailed in Interlocking Crochet by Tanis Galik in this book. Also known as double filet, interlocking crochet is extremely versatile. In fact, the book has over 80 different types of patterns using this stitch, so you’ll never get bored. Interlocking Crochet is divided into three sections: basics, single designs (same design on both sides) and double designs (different designs on each side). 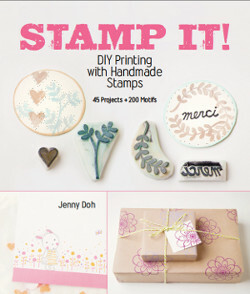 In the back of the book, there is a variety of projects you can try using your new skills. Galik provides tips and notes throughout so you’ll never get lost or confused. 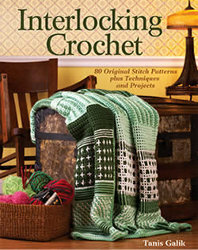 If you’re stuck in a crochet rut or just want to try something new, this is the perfect book for you. It would also make a great gift this holiday season! You can enter once daily so be sure you come back often. Good luck! 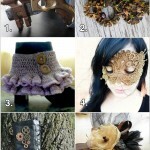 Steampunk-inspired jewelry is fun to create, with tips and projects from Linda Peterson, author of Metalwork Jewelry. 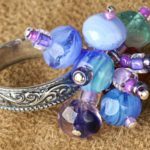 With 35 projects to choose from and step-by-step photos to help you through, you’ll be making one-of-a-kind jewelry in no time. 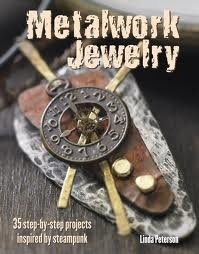 Check out the Metalwork Jewelry Giveaway Contest here, and get a chance to win this unique book! Contest ends October 4, 2011. You can enter once daily, so return often to improve your chances of winning!